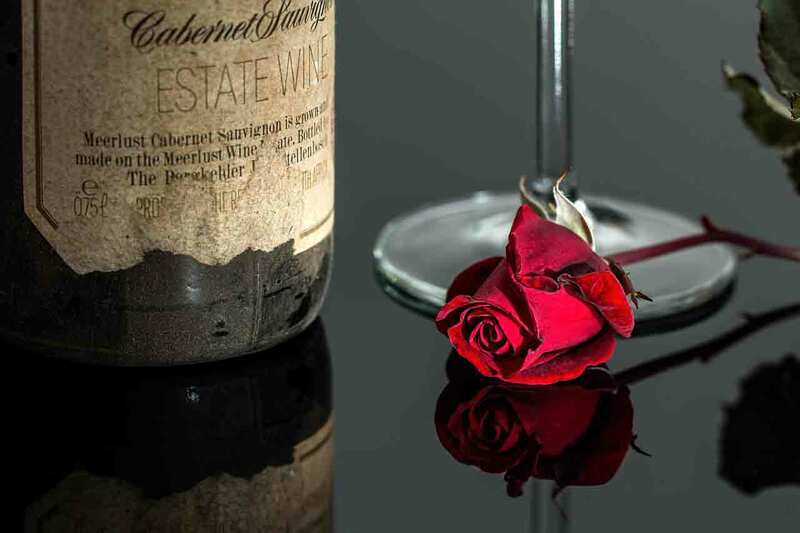 What makes a wine the right wine for a romantic occasion? Is it a name that suggests romance? Or perhaps it is a saucy label that will turn the drinkers’ minds toward things other than wine tasting that makes the most romantic wines? The research of one vintner, the late Dr. Max Lake, suggests that it is the scent of a wine that makes it a catalyst for romance. Through his research, Dr. Lake discovered that the scents of certain wines could actually replicate that of human pheromones. 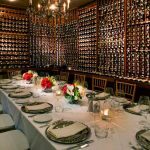 While all these things could potentially work to turn an evening from an amiable dinner to a night of romance, we believe that the key to choosing a romantic wine is pairing it to your dining companion’s taste preferences. So, while an earthy Pinot Noir has the potential to turn on a mate with one whiff of its sensual aroma, that really isn’t going to work if your amour is a white wine drinker. For that reason, we’ve created a well-rounded list of wines, with something for every taste and preference. We feel that each of these wines has a place in a romantic situation. But choosing the right one…well, that’s up to you! This is one of California’s best-known sparkling wines because it is so often the choice for celebrating life’s most romantic moments. A pale, blushing pink bubbly with a fine and steady stream of pinpoint-sized bubbles, it easily puts the punctuation on weddings, engagement parties and anniversary celebrations. And it is, of course, an annual favorite Valentine’s Day wine. 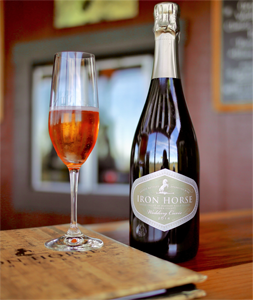 A sparkling wine that consistently delivers year after year, it offers a gentle medley of red fruit and stone fruit flavors with just enough lime citrus to give it freshness. For more information, visit Iron Horse official website. Price: $50 for 750 ml. With its simple, romantic name, Flowers doesn’t have to try hard to be a favored choice for romantic occasions. Yet this winery strives year after year to create some of the best Pinots on the California coast. Since Pinot is considered by many to be one of the most romantic grapes, there’s no question this wine belongs on this list. It is a deep ruby wine with aromas of wild strawberry, dried herbs and a hint of truffle. 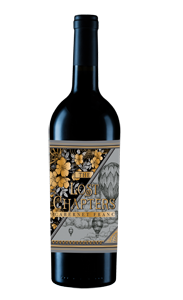 A sensual wine, it offers a burst of tart cranberry acidity, fine grain tannins and lingering forest notes. For more information, visit Flowers Winery official website. For some occasions, nothing but pink Champagne will do. 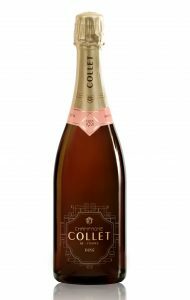 True, vibrant pink in hue, Champagne Collet’s Brut Rosé is the quintessential Valentine’s Day wine. Whether you’re celebrating Valentine’s Day, an anniversary or just a Tuesday night together, if you enjoy the “pop” of a cork on a bottle of pink bubbles, this wine is going to take you to your happy place. Price: $90 for 750 ml. This is the wine for romantics who enjoy sharing a glass of lush white wine. Aged in French oak for 18-plus months, this is a Napa Sauvignon Blanc made in the style Robert Mondavi coined Fumé Blanc. As such, it is an extremely elegant example of the style. Butterscotch and Asian pear notes entwine with toasty notes; a spark of lime acidity gives it great balance. A rare wine coming from a single block of vines — the Heart Block — it is, without question, a Sauvignon Blanc to share with the one who has your heart. For more information, visit Gamble Family Vineyards official website. Price: $30 for 750 ml. If your beloved loves sparkling wines, surprise them with this Long Island bubbly. Not only is it a truly outstanding wine for the price, it is an extremely sensual wine. Aromas of brioche dough make it hard to resist taking the first sip. On the palate, indulgent, toasty notes are balanced by the luscious bite of lemon zest acidity. All of this makes for a fine drinking choice, be your occasion a brunch, BBQ or a celebratory toast. But what puts this wine on GAYOT’s list of the Best Romantic Wines is its creamy texture, almost plush as a pillow as it caresses the tongue. For more information, visit Sparkling Pointe official website. Price: $19 for 750 ml. For some, romantic evenings call for pink wine. However, not all Rosés are suitable for drinking the whole year through. Those pale, quaffing wines perfect for summer afternoons are not what is called for on a long evening of staring deeply into one another’s eyes. To conjure romance, you need a Rosé of substance but one that still offers the gentle, floral nuances of the style. Our choice of a Rosé for romantic occasions is this Tavel Rosé. It’s a complex blend of more than five grapes with nice body and a vibrant pink hue that practically glows. Gorgeous cherry and rose petal aromas are followed by flavors of red berries, cherries and direct, lemon acidity. Best of all, toward the back of the palate, the wine offers a sweaty, savory note faintly hinting of something wild. For more information, visit Château de Trinquevedel official website. Price: $35 for 750 ml. If you and your love enjoy sharing a bottle of no-holds-barred, American red wine, this beauty is going to fit the bill — but it will do so with some romantic nuances. On the nose, this Napa Cab Franc offers aromas of rose petal and wisteria, along with musky blackberries, tart rhubarb and toast. Although it’s undeniably a Californian wine, it has unexpected femininity with cranberry and red cherry acidity, sweet tannins and just a touch of mysterious spice. And about those Lost Chapters? This wine will surely inspire you and your lover to rewrite them with gusto! For more information, visit J McClelland Cellars official website. Price: $50 for 375 ml. Whether you’re looking to end a romantic evening on a sweet note or you and your love simply want to center an evening around a sweet wine, this well-balanced Icewine will help you seal the deal. It is made from grapes harvested frozen on the vine. They’re picked in the cold, crisp heart of the Canadian winter, but the result is a weighty, honeyed nectar that will warm your heart. 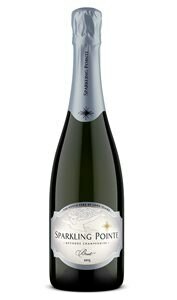 The wine offers a nice balance of lemon and tangerine acidity and sweet apricot, white peach and dried mango flavors. 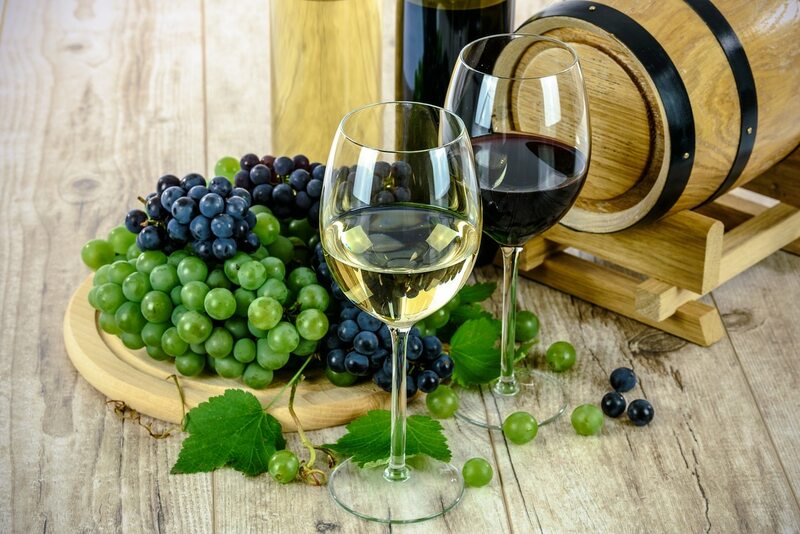 Although it is considered a dessert wine, it also makes a very nice choice with cheeses and other picnic foods, or try it with a light supper, perhaps seafood, and enjoy each other for dessert. For more information, visit Inniskillin official website. Price: $20 for 750 ml. This is a wine for lovers who love fun. It’s a big, bouncy Aussie Shiraz with loads of bright fruit and a fairly high percentage of alcohol. It’s one of d’Arenberg’s most popular wines, and for good reason. It delivers walloping flavor and intensity for a very fair price. Flavors and aromas of dark berries and black plum practically burst from the glass. But what puts this wine on our list of the best wines for a romantic occasion, besides the love connection in its name, is what happens on the wine’s finish. Toward the back of the palate the wine evolves and something earthy, slightly musky and somewhat spicy emerges. It leaves the tongue tingling with the sort of flavor that might inspire a roll in the love grass. For more information, visit Darenberg official website. Price: $24 for 750 ml. This is a wine for lovers with a sense of adventure. 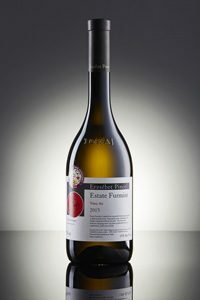 Dry Furmint is a style that only recently started gaining popularity, and it is a style rarely seen in North America. If the romance of new discoveries is a trait you and your sweetheart share, then this is the white wine for your next romantic encounter. Made from the principal grape used in the famed Tokaji dessert wines, it is treated to fermentation and aging in Hungarian oak. The result is a sophisticated yet mouth-filling white wine. On the nose the Erzsébet Furmit is a bouquet of wildflowers. On the palate, citrus and stone fruits mingle with a brightness that feels like sunshine to the tongue. Toward the back, a faintly savory, saline note teases the taste buds and makes the mouth salivate for the next sip. Price: $9 for 750 ml. Sometimes, budget limits our gifting choices. If your desire is to give your love both wine and flowers but are handicapped by limited funds, this lovely bottle of South African Chenin Blanc provides an excellent alternative. A delicate and very nicely made wine for the price, it offers floral notes that spring from the glass as though they’d been planted there. A bouquet of flowers in a bottle, it is a crisp, fruity and refreshing white at a very fair price and one suitable for celebrating a romantic occasion on a budget. For more information, visit Spier official website.